We do everything possible to assure maximum comfort for all those who entrust their care needs to us. 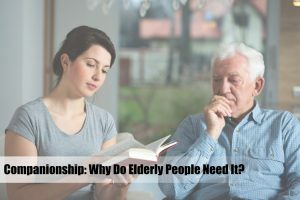 Companionship: Why Do Elderly People Need It? When people get old, we tend to become more sensitive and fragile. This is because our health deteriorates as we age, making us more vulnerable to diseases, mood swings and other health concerns. Once people come to this stage, it is necessary to provide attentive care, love and companion to still allow them to live a quality life. Makes the elderly feel safe and secure. 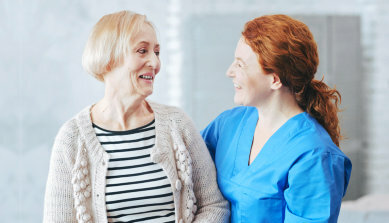 Professional home health aides or caregivers have undergone proper training and briefing about how to provide optimum security and safety to their patients or clients. With this in mind, you can ensure that your love one will feel as safe and secure as possible whenever she is accompanied by a compassionate home health aide or caregiver. Offers comprehensive assistance and help. One of the primary reasons why a companion is needed is to provide comprehensive help and assistance to the elderly with her usual routines and activities. The caregiver will help and assist your love one when it comes to toileting, bathing, dressing, grooming, meal preparation and other useful activities. Allows good life quality and comfort. When your elderly love one has a companion, she will surely feel comfortable and experience a good life quality through the services and affection which the caregiver provides. Moreover, caregivers always ensure that their patient or client would not feel sad, uncomfortable, and stressed. This is why a good companion for your elderly is very important. Paves way for friendship and even family treatment. Most caregivers or home health aides, especially those who are from Dover Healthcare Services LLC, are warm-hearted and loving. Through this, they treat their patients or clients with utmost love, concern, and care which can be classified as that of a family or friend. With a good companion, your elderly parent will have someone to talk to and share her love. Here at Dover Healthcare Services LLC, one of the leading providers of Healthcare Services in McKinney, Texas, we are well aware that elderly people should be taken care of properly and compassionately, and there should always be someone to look after them at home and anywhere they go. Hence, we strive hard to allow elderly people live a quality life through our Home Health Aide where companionship is one of its key services. Call us today if you need our compassionate services. Dial 214-351-3360.